Francis Galton introduced the term eugenics in 1883. What he perceived as eugenic is considered positive eugenics, which is a moral philosophy to improve humanity by encouraging the ablest and healthiest people to have more children. 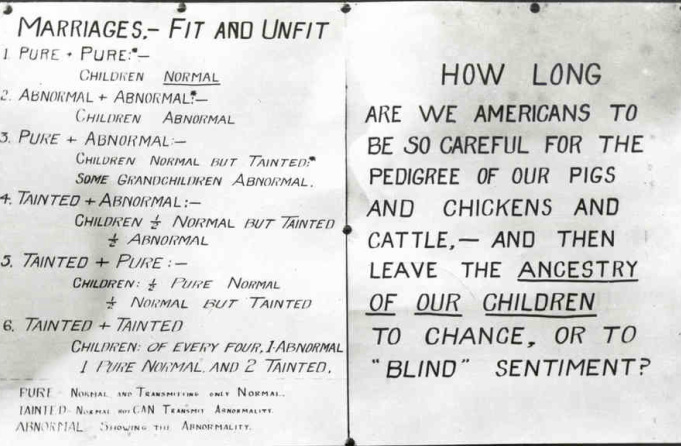 However, negative eugenics is using interventions to institutionalize or get rid of the socially “unfit” or “degenerate” of the population to preserve humanity’s fitness including the poor, mentally ill, blind, deaf, developmentally disabled, promiscuous women, homosexuals, and entire racial groups, as the Nazis did with Jews. With the possibility to select for 'normal' genes in order to prevent an unborn child with an inherited disease, some may argue that this is the beginning of genetic manipulation and a slipper slope to 'designer babies'. If we could design babies with enhanced traits in the future, the gap between rich and poor is more than just monetary. There will be discrimination against the “weaker” and “unfit” of the population. Would you choose for your children to inherit certain enhanced traits such as intelligence?